Face it, whether your company has 10 employees or 10,000, you must grapple with people you can't stand in the office. 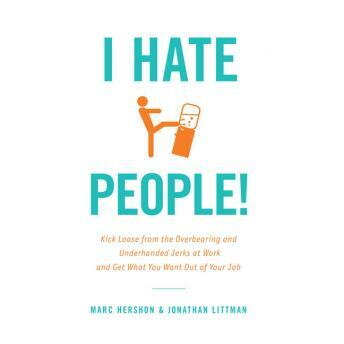 Luckily Jonathan Littman and Marc Hershon have written I HATE PEOPLE!, a smart, counter-intuitive, andirreverentturn on the classic workplace self-help book that will show you how to identify theTen Least Wanted--the people you hate--whilerevealing the strategies to neutralize them. Learn to fly right by the 'Stop Sign' (nay-sayer) and rise above the pronouncements of the 'Know-it-None.' I HATE PEOPLE! will teach you how to carve out more time for yourself by becominga 'Soloist'--one of those bold individuals daring to work alone or collaborate with a handful of other talented people....while artfully deflecting the rest.